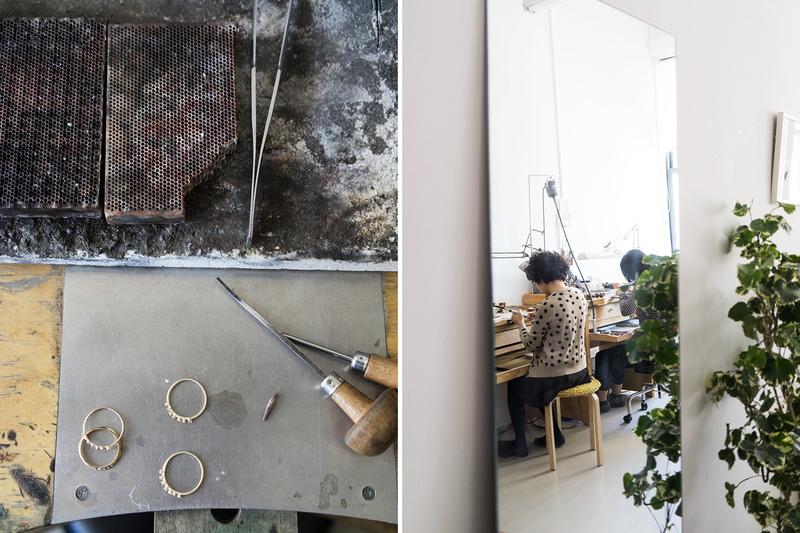 Step into Noriko and Akiko's light-filled Tribeca jewelry studio and you can't help but feel a sense of ease. 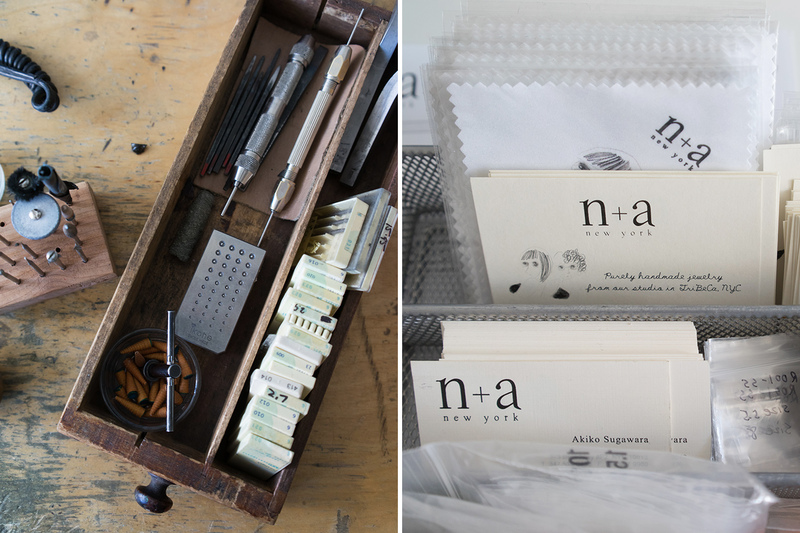 The sisters behind n+a new york are some of the kindest people I've met and really made me feel at home when I visited their studio a month or so ago. I first came across their jewelry at Still House and also have featured one of their rings in my Daily Rings post. 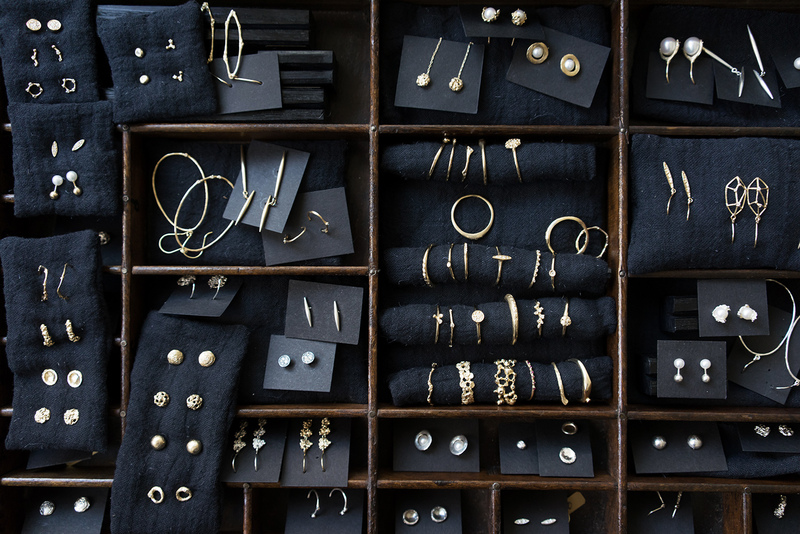 All of their jewelry is perfect for daily wear. It is subtle, sophisticated, and right up my alley. 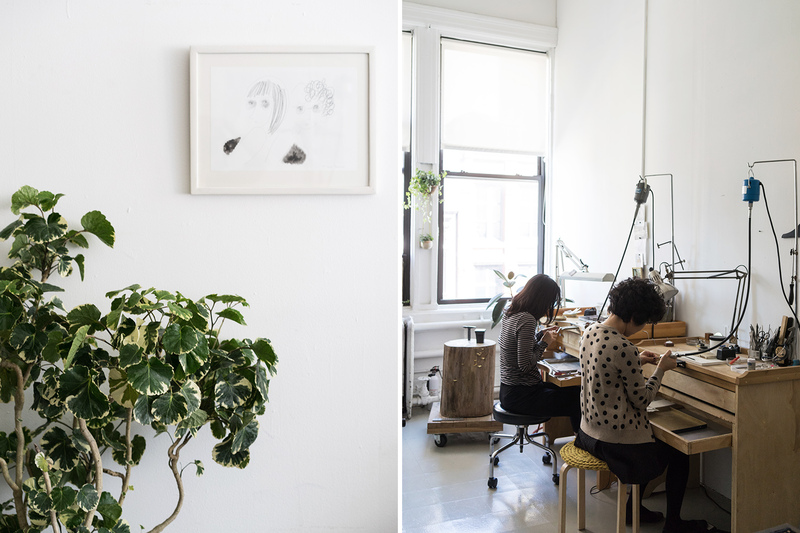 It's always a treat to visit other creatives' spaces, to find the little nuances and quirks of the space, and to see what their spaces say about them. (And one man's "mess" can be another's treasure for sure!) Let's have a look at theirs. Noriko and Akiko graciously answered a few questions about their craft and background for me. Both of us were born in Tokyo. We spent our early years in Niigata where there was abundant nature surrounded by rice paddies, the Japanese sea and mountains. We enjoyed a lot of outdoor activities, playing music, and we were fortunate to be surrounded by treasure-troves of books. We still have great memories of growing up there and feel that those experiences have shaped us and play a part in who we are now. We then spent a few years in Chiba and finally moved to Yokohama where we went to collage. How long have you been working in jewelry? We started n+a new york 7 years ago. Before that Noriko had been making art jewelry and showing her work at gallery and exhibitions after she graduated from FIT. 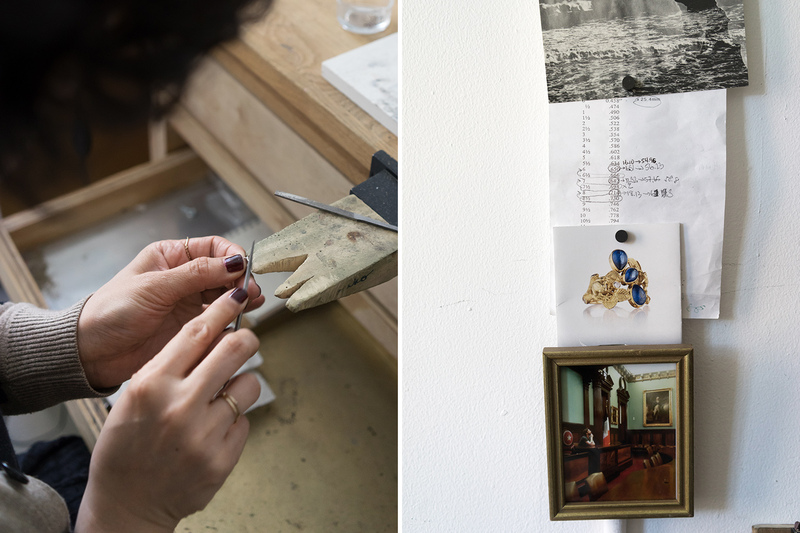 Akiko was inspired by Noriko's art piece and became fascinated by jewelry making. 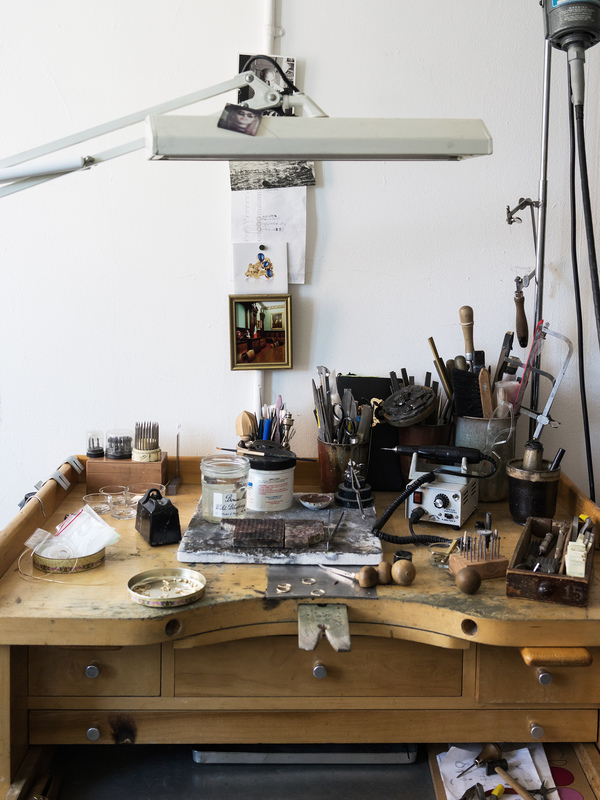 How long have you been in your current studio? Two and a half years. We make all pieces by hand here except for casting. Inspirations come from everywhere. We care about subtle but beautiful details of both the city life and from nature. For example, we were inspired by details of the historic buildings in NYC, and when we went hiking and encountered interesting things such as the textures of rocks and leaves. What do you like to do when you're not working? Other hobbies? Noriko : I love spending my time making things beside my work. lamp shades, door pulls, clocks, furniture, sawing and knitting projects... I also collaborate with my husband who is an antique furniture restorer. Right now we are working on designing and making processional torches commissioned by Trinity Church! Akiko : I like knitting, swing dance, playing piano. Also food is my passion. I like cooking, baking and exploring good food. Recently I am interested in photography. What's the best and worst part about working with a sister? We can trust each other, it is the best part. Our enthusiasm for n+a is very strong, and we think it is surely based on the trust and love of our sisterhood. It is a good thing to be honest and say straight to each other what we think, but sometimes when we do it too much we feel annoyed... We are getting better at it! 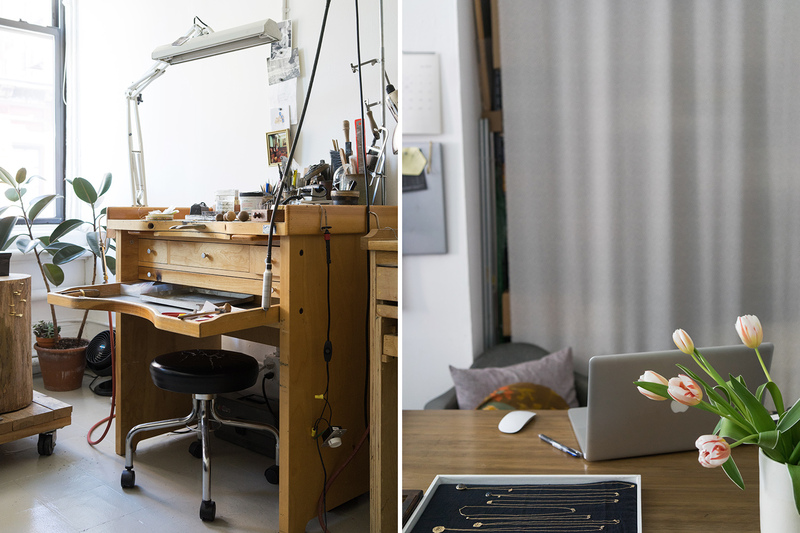 Thank you to Noriko and Akiko for providing this glimpse into their studio! Lovely post, Alice. Those jewels look so beautiful and easy for daily wear! The Tools that they use are beautiful objects in their own rights! This is an amazing feature! What a fabulous space - so functional but so incredibly lovely too. 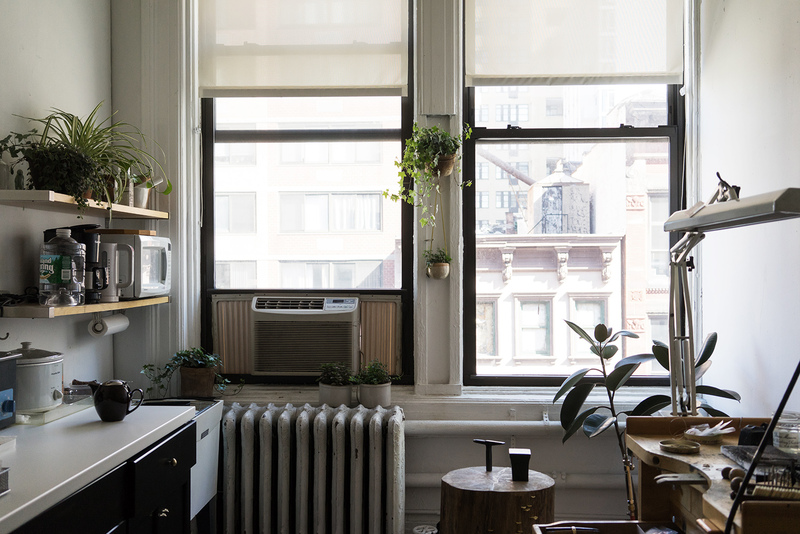 Current Post: Five Hardy Houseplants You Might Actually Not Kill! Huge fan of N+A's work! I love this kind of posts. Other creatives are so so inspiring. I did something similar on my blog last year (a series called artists and artisans in Florence) I had to stop because it was a bit too time consuming but be honest I miss doing those portrait series. Your post made me consider starting again. Thanks for sharing this! How did you come across this duet? Looks stunning. It's such an interesting profession, I'll bet their eyes are really tired at the end of the day. But it's nice to create beauty on your own. Beautiful work and work space! I completely agree as well that one man's mess can be another man's treasure. What a nice feature! I've never heard of n+a New York and their pieces look beautiful--I like how they said they found inspiration recently from hiking (leaves and rocks?! So neat). 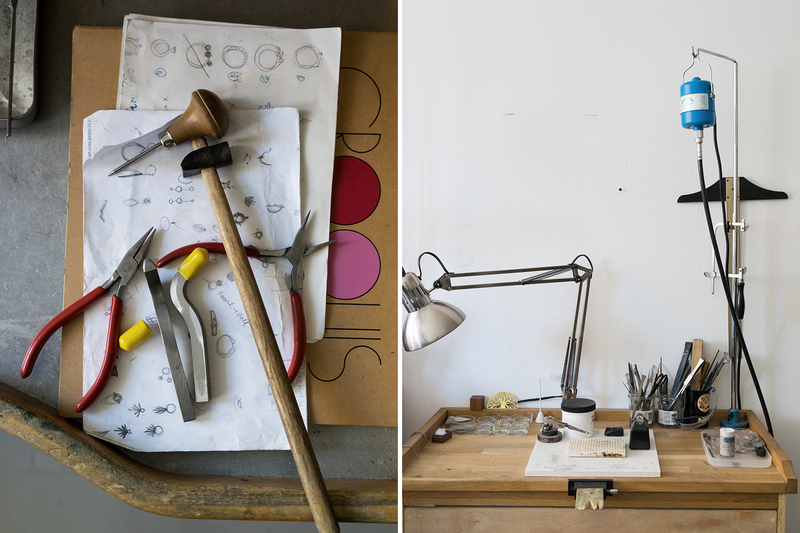 Beautiful photos of their work space. I'm heading to check out their website now.